I sure you will enjoy this interesting suspense murder mystery along with the first two Jake Curtis / Vanessa Malone Mysteries “Death in the Primrose Hotel” and “Death in Amish Country. This afternoon I published my new mystery novel “Death in Divorce, a Jake Curtis / Vanessa Malone Mystery.” It is available at smashwords.com at the following address: https://www.smashwords.com/books/view/504521 in many downloadable formats. It will be available from Barnes and Noble Nook shortly. I have joined joined tsu, the new social media website as a lot of authors are now doing. See my last post about Facebook. Visit me at https://www.tsu.co/Tony_Flye. Follow and friend me. 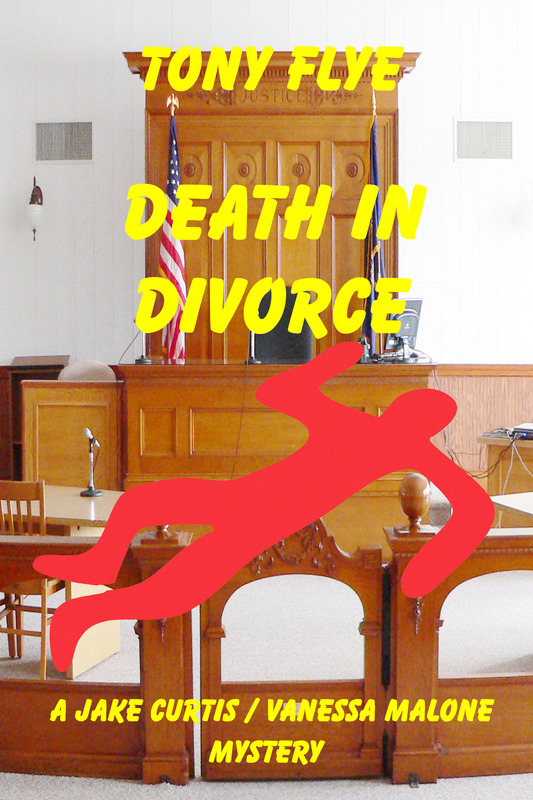 The third in the series of Jake Curtis / Vanessa Malone Mysteries; Death in Divorce is planned to be available just after the first of the year. A tidbit: Sixteen hours after winning a divorce from her cheating husband, Blanche Bickers was found naked in her bed with a bullet hole in the center of her forehead. Why? You’ll have to read the book to find out. Look for Death in Divorce, the third installment of the Jake Curtis / Vanessa Malone Mystery series very soon. It seems Facebook plans to start charging authors to list books for sale. I plan on using more of this blog tonyflye.wordpress.com to communicate about my books to my followers so please follow me on wordpress.com.